EDINBURG — Entering the first WAC game of the season on Saturday, the UTRGV women’s basketball team was off to its best start in program history. At 10-5, the Vaqueros were the only team in the WAC to post a winning nonconference season. UTRGV had all but erased memories of being picked to finish sixth in the WAC preseason coaches and media polls, again looking like one of the league’s title contenders. 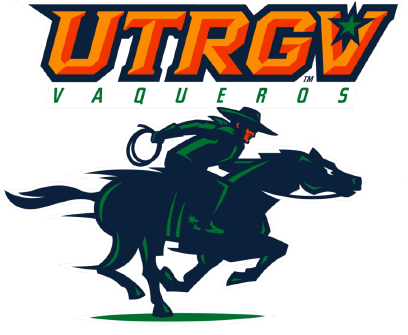 And the Vaqueros were opening their conference slate at home — where UTRGV was 48-14 in five seasons under coach Larry Tidwell — against a UMKC team that was just 1-11 against Division I opponents this season. Despite all the factors in UTRGV’s favor, UMKC stayed close throughout Saturday’s game and eventually snatched a 54-52 victory to send UTRGV to an 0-1 start in WAC play. UTRGV hit 34.7 percent of its shots for the game and just 18.2 percent from beyond the arc — the team’s worst perimeter performance since Nov. 29. The Vaqueros endured long stretches without a field goal, going 6 minutes and 58 seconds without a make during the first half and 5:46 between baskets spanning the third and fourth quarters. UMKC packed in a tight zone defense that consistently flummoxed UTRGV. Despite the offensive struggles, UTRGV was in front for 35:18 of game time. The Vaqueros led throughout the second half before the Roos’ Samantha Waldron hit a 3-pointer to poke her team in front 51-50 with 1:52 to play. UTRGV regained the lead when Laura Van Tilburg, who finished with a team-high 11 points, hit a layup with 1:37 remaining. But Aries Washington responded for UMKC, driving from the left wing and drawing a foul with 8.6 seconds to play. Washington hit both free throws for a one-point edge. UTRGV called a timeout to advance the ball, and on the ensuing inbound play, Idil Turk missed a 3 wide right. The Vaqueros fouled again, and after Waldron hit one of two free throws, UTRGV had another chance at an inbound play with 2.9 seconds showing on the clock. UMKC had a foul to give and used it, so the Vaqueros had a third look at a frontcourt inbound, this time with 2.3 seconds remaining. UTRGV sent the ball to Quynne Huggins, who drove to her left down the baseline, but her layup attempt at the buzzer failed to draw iron. UMKC was held to 36.7 percent shooting inside the arc compared to a 38.1 percent mark from 3-point range. The Roos hit 8 of 21 from outside, with Waldron making 4 of 11 and Washington draining 3 of 5. “We were trying to close out hard, but they were very good shooters,” Sampson said. Saturday’s game snapped a 16-day layoff since UTRGV played USC on Dec. 20, but Van Tilburg did not want to make any excuses. If anything, Tidwell said the extra time to prepare should have been a positive. Instead, UTRGV dropped its conference opener and will be looking to get back to even at 7 p.m. Thursday against CSU Bakersfield.